I will be on hiatus next week (2/1) on account of getting married! Alice Jaggers has agreed to once again step in and take over this post, so make sure you send her your thanks! 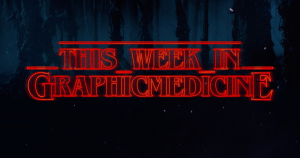 This week I’m using this space to remind you to join the Graphic Medicine Group on Facebook! Great conversations, new resources, and more happen here! 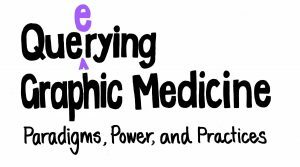 Remember, conference proposals for this year’s Graphic Medicine conference – Que(e)rying Graphic Medicine: Paradigms, Power, and Practices – are due on January 31st! Find all the details of the CFP here: www.graphicmedicine.org/brighton-conference-2019-call-for-papers. Event: MK Czerwiec will be at dotMD! Event: Comics in Nursing: Can Comics Make Us Better Caregivers? Video: A. David Lewis is kindly making much of his new course on graphic medicine publicly available. This is Graphic Medicine, Lecture 1.